A course, first trialled in 2014 aimed to providing training in Bat Handling and Advanced Bat Survey Techniques for professional consultants. Bat Handling, all capture techniques, use of acoustic lures, radio tags, radio tracking, advanced identification skills, endoscoping and demonstrations in remote and Infra-red observation techniques and tree climbing assessments. This course is a must for all bat ecologists looking to 'upskill' in response to increased survey demands. Natural England have recently revised their requirements for applicants for the various Bat Class Licence levels – you can read more here. Although no sign-off for a ‘NE Level 1’ or ‘NRW without handling’ bat licence will be possible, with an appropriate amount of additional logged and observed competent bat handling, log book signatures, we will provide a course certificate that will count towards a ‘NE Level 2’ or ‘NRW with handling’ application. However it is important you are aware that a course on its own is unlikely to sufficient to achieve a licence or licence upgrade and further logged experience and/or a separate referee are likely to be required. It is important you have prepared your log book prior to attending any course – as in both England and Wales the ability to demonstrate wider experience over time has become much more important. The flexible nature of the course also gives us scope to offer logged experience and a course certificate towards a ‘NE Level 4 bat licence’ for harp trapping with an acoustic lure (or equivalent NRW endorsement), or 'Level 3 bat licence' for mist netting with an acoustic lure for those looking to expand these skills - and all participants will receive training and practice in the use of the equipment. But please note that as course trainers we are no longer permitted to provide licence references for participants that have only attended this course. Mist netting, harp trapping, triple high, canopy net to catch bats in and around St Fagans including mist net and harp trap extraction and handling. Radio tracking of bat if target species is caught. 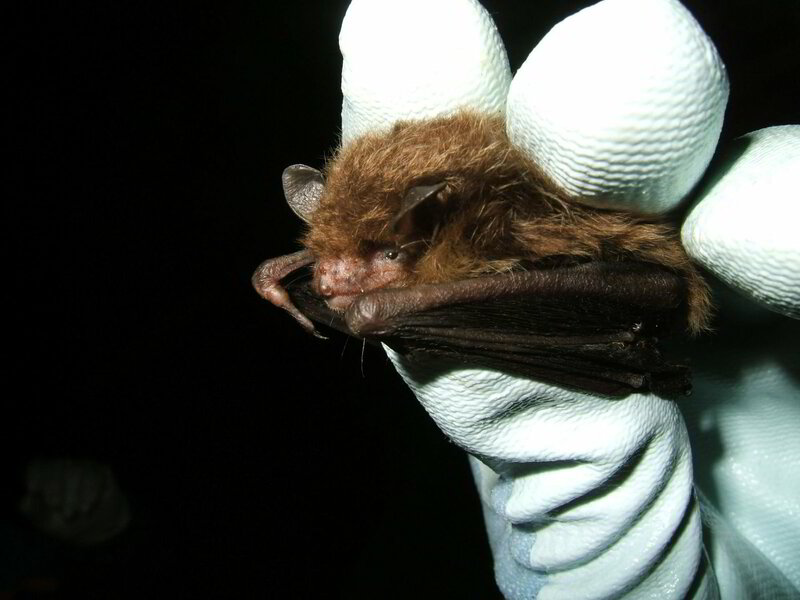 *This session may be moved to Day 2 if a bat is radio tagged on the night of Day 1. Bat handling gloves (e.g. nitrile gloves, light cotton manicure gloves, Gripz lite gloves, leather riding/pilots’/golfers’ gloves*), head torch, appropriate field clothes and footwear (including wellies) for all anticipated weather conditions, field note book/clipboard, bat detector, bat log book for signing. You may like to bring a recording bat detector in order to collect calls from bats in the hand and on release. Please bring a record of bats previously handled if appropriate. It is MUCH easier to sign bat log books at the event. Please try to prepare and bring your bat log with you. *A selection of gloves is preferable to suit all species of bats that may be handled. As this is a bat handling course all participants must provide suitable bat handling gloves and proof of up-to-date rabies inoculation. All voluntary bat handlers, licensed or not, are entitled to free immunisation from the NHS, although your GP may sometimes charge an admin fee, those handling for professional purposes usually have to pay for their injections. You will automatically receive a booking confirmation on receipt of payment. If you require a VAT receipt, please email Richard quoting the name, date and booking reference. Old Church Rooms (Radyr Old Church Rooms, Park Road, Radyr, Cardiff, CF15 8DF, next door to Radyr Primary School and opposite the library. Approximate finish: midnight ( /- 1 hr) after catching on the night of Thursday 9th August. Course is offered by Richard Crompton Limited (Ecology on Demand) on behalf of the Bat Training Partnership.